Saving money is without doubt a successful way of reaching many of our life goals. It often also means financial independence. Unfortunately, it can be hard at times for many of us to actually hold on to our hard earnings. It is easy to find excuses why not to save – “I have too many expenses”, “I should buy this, it is a once in a life time offer” or “I need to reinvest my earnings for my tax” are just a few. 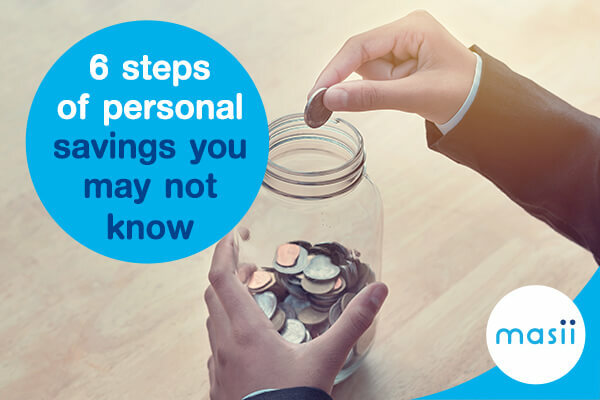 But in fact, saving is easier than you may think. Believe it or not, a lot of people like to keep new bank notes. What others may find funny or even ridicule is a way of hording money. Collecting freshly pressed 20, 50, 100, or 1,000 Baht notes will have you wonder, how much you can do to the side within just 3 months. For those who like to travel, the next trip can be a great incentive to regularly put money into the piggy bank. Picture yourself being on the way into your well-deserved holiday and set a target for what you need to save to realize your dream. Now, get a piggy bank and write them name – or better stick a beautiful picture of your destination on it. Add you’re the date of your departure and the amount you need to save. This will be a great motivation to regularly drop money in the bank. Each time you crave some fancy dinner you can look at the piggy bank with your destination and it will be easier to rather drop the money here. This method of course works for all kinds of purchases: your new handbag or shoes, a bicycle or new gaming console. Just remember, set a clear timeline, and remind yourself how much you want to reach your goal. You’ll see, your piggy bank will fill steadily. This is actually an old one and so easy: Every night you come home, empty your coins into a jar. This may take longer to get a great sum, but you’ll be surprised what comes together when lightening the weight of your purse each evening. 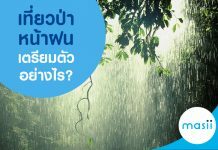 A fifty Baht note is not the least common bank note – a good reason to treasure it, don’t you think? Each time someone hands you a blue one, keep it to the side and at home stack it in an envelope or special box. The good thing about this method is that there is no stress but the rewards can be huge. There have been people who collected 200 notes over a longer period, a staggering 10,000 Baht. That’s enough to take afford a beautiful holiday! 5. How much do you eat? We all love to eat, so make it your reason to save. We think we don’t spend much on food though, but there is the coffee here and the snack there. 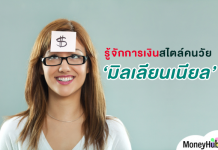 What about making a deal with yourself to put one Baht to the side for every Baht spent? Imagine you are having some sticky rice and pork (40 Baht) on the way to work with a coffee (30 Baht) from the corner, then lunch (50 Baht) followed by some fruits or snacks (20 Baht). By the time you have dinner (50 Baht) you have saved 190 Baht! For some of course this is a great motivation to diet. Many vendors usually set aside a certain amount to buy new products for the next day – why not doing the same for savings. Whether you are an employee or a business owner, you can fix a percentage of your income to be set aside. Make it a habit to for example put a side 10% of all earnings. You sell something for 100 Baht, you put aside 10 Baht into the piggy bank, you earn 350 Baht and 35 Baht end up in the bank. Saving money needs determination for sure, but there are ways to make it fun, too. In any case the rewards will be yours. We know for sure is that you can do it and will be able to reach your dreams.